LEAF is a co-op focused CDFI that lends to a variety of co-op businesses across the country. The three main categories of lending are listed below. For our initiative in the Greater Boston Area, please visit our L-TAP website. LEAF provides financing nationally to natural food cooperatives that create jobs and provide access to healthy food in rural and urban communities. In addition, they provide healthy food education, promote environmental stewardship, and support local farmers and the local economy. 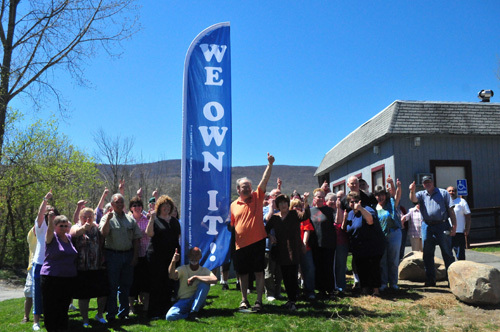 In 2009, LEAF began providing a loan product to serve the low-income resident-owners of manufactured home communities. HUD estimates there are more than 50,000 manufactured home communities representing 3.5 million families, the overwhelming majority of whom are low-income. Since inception, worker co-ops have been in LEAF's DNA. LEAF focuses its lending to cooperatively-owned businesses and social enterprises that help create living wage jobs for low income individuals and communities. Worker co-ops build equity for members, and operate on a one member, one vote principle.